Graded GOOD 2 by SGC. 1888 N173 Goodwin Old Judge cabinet card of Hall of Famer Buck Ewing of the New York Giants (#149-8 pose). 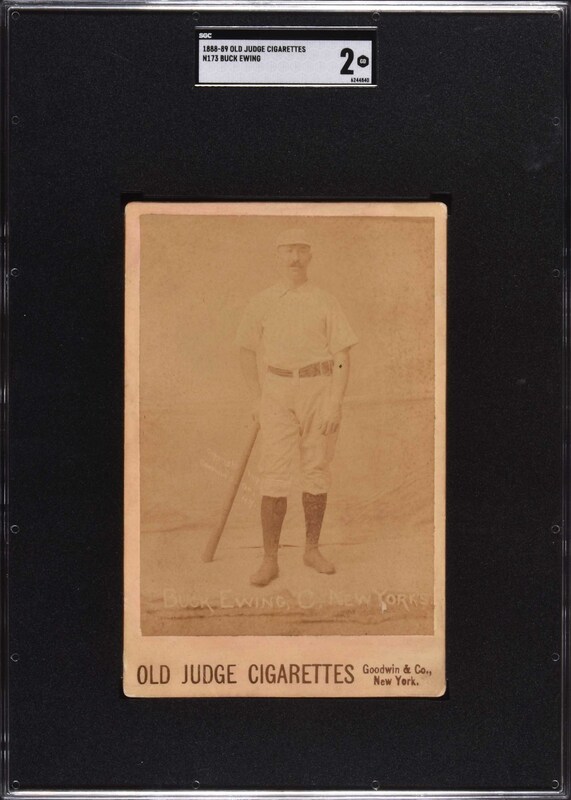 Modestly graded example of one of the most impressive of all Buck Ewing cards. All Old Judge cabinets are extremely desirable, as are all examples Hall of Famers, and Buck Ewing is one of the most prominent of all nineteenth-century Hall of Famers. This is a very attractive example with slightly light photo contrast. The background and area identifying the player name and team is very light (as made), making the identifying white-letter text and 1888 copyright difficult to read (due to the contrast of the white letters against the light background). A heavy crease in the lower left solely accounts for the modestly assigned grade. 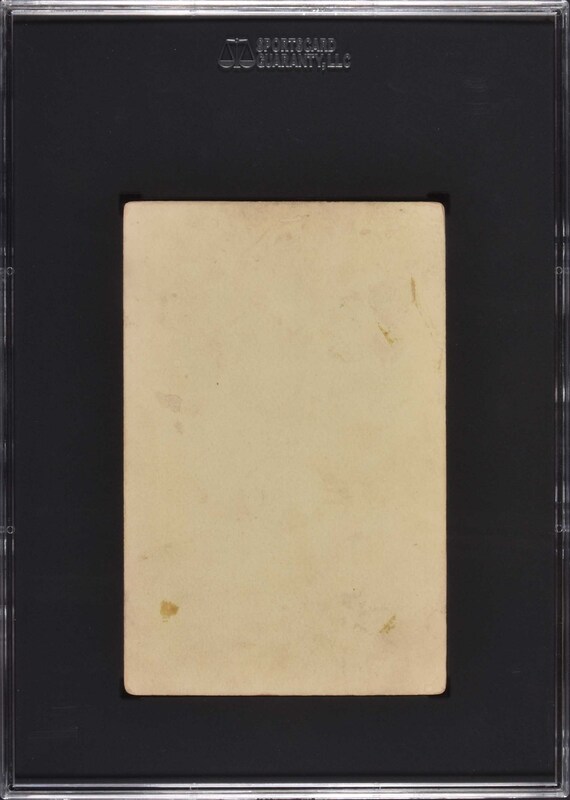 The blank reverse has a few very minor stains. This is a very pleasing Hall of Famer example from one of the nineteenth century's most classic and revered sets. Reserve $1,000. Estimate (open).